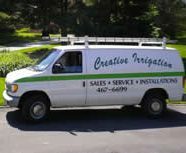 Creative Irrigation specializes in oustanding service and repair. We are locally and family owned, fully licensed, bonded and insured, serving commercial, residential and industrial customers in Suffolk County and Nassau County, Long Island since 1983. Same day emergency service is available during business hours. When using the form below to contact us, please include your phone number or email address and we will respond to your request within one business day.